Self admittedly, I’m not a baseball fan, but you don’t have to be to appreciate the legacy Jackie Robinson left behind. The first black man to step into the all-white world of major league baseball was not for the faint of heart. 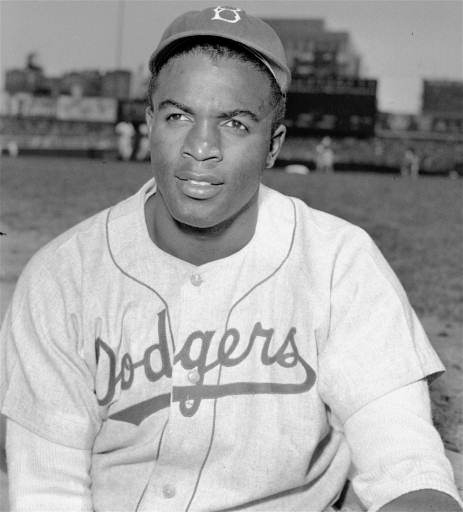 Despite the terrifying thoughts that undoubtedly haunted him, Robinson managed to surpass everyone’s expectations and walk away from the sport with more than a reputation for stealing bases and hitting home runs–along with MVP, Rookie of the Year and World Series Titles–but more importantly erasing the color line in baseball. Jackie Robinson would have been 94 today. It’s unfortunate we couldn’t watch him reach the milestone that offers grey hair and wisdom lines across the forehead, but he left behind so much more. Robinson’s athletic prowess was only eclipsed by his devotion to helping others, and his widow continues to honor that with the Jackie Robinson Foundation that has provided $22 million in scholarship grants to high school seniors and graduate students. Over 1200 kids have benefited from the foundation’s programs that also include mentoring and leadership development. For all of Robinson’s contributions it’s sad that he has yet to be truly recognized. Hopefully with the release of the movie, 42, which charts his advent into the major leagues, will reinvigorate his popularity and shine a light on not only his accomplishments but his character. Yes, he was great baseball player, but he showed it on the field and not with his mouth, but his legs and arms. Off the field he was humble. A lesson that younger athletes have yet to take notes on. The bravado and arrogance of professional athletes today has become commonplace on the court, and more recently off. I don’t have to stress the overly hyped and clichéd argument that athletes-are-public-figures-and-should-set-an-example-for-young-kids argument. But, duly noted. My argument stems more from the appreciation of the game and a player’s gratitude for his/her role in it. Nowadays it seems what drives athletes is to win and nothing else. Not for the fans. Not for the team. But, to feed their ego. Obviously winning is important in any competition, but what about the other lessons that are taught along the way? teamwork, loyalty and taking responsibility. During Robinson’s time the stakes were higher and the risks greater, but he still managed to perform his job with grace, if only more athletes had that same spirit. Happy Birthday, Mr. Robinson.